As I mentioned in an earlier post, the Adirondacks are known for being a place where artists and artisans find creative inspiration. I think creativity is expressed in a myriad of ways. Certainly, a painter, photographer or writer can all be considered creative. Creativity, however, can also be expressed by a builder, designer, architect and yes, even a business person can be creative. I have a business and commercial real estate listing that comes to mind when I think of people who express creativity through their work here in the Adirondacks. It is Hunter Designs, a progressive kitchen and bath design studio and retail store here in Lake Placid. A buyer could enjoy excellent quality of life (the "Adirondack Lifestyle") and earn a good living! The business is well established and has been around for more than 23 years. 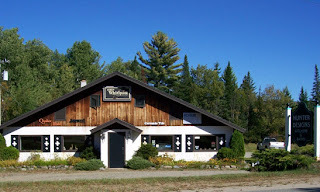 It has a proven track record and serves the Adirondacks high-end market and regular folks. The beautifully designed and well diversified showroom offers top-of-the-line, state-of-the-art, beautiful displays and quality products. This firm is the exclusive supplier for many coveted lines; cabinetry, tile, sinks, fixtures and other fine products. Hunter Designs is already a highly profitable, turn-key business. It is also the perfect opportunity for someone interested in expanding, diversifying or adding synergistic lines to an existing business. Let me now if you'd like to get creative and talk about what it would take to purchase Hunter Designs!